If you have any questions regarding our products or services, you can contact us by phone or email and we'll get back to you as soon as possible. We hope to hear from you soon. 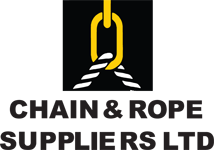 Chain & Rope Suppliers Ltd.